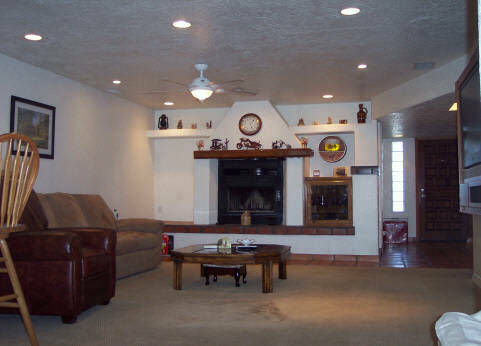 Historical Phoenix Homes For Sale in Phoenix, AZ. Downtown Phoenix Historic Properties. Free MLS Searches. Laura B. 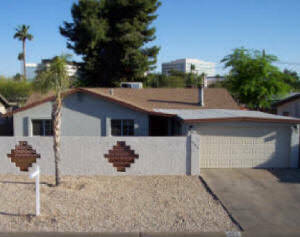 Historic Phoenix, Arizona Houses For Sale. Phoenix Luxury Condos, Lofts, High-Rise Condos In Downtown Phoenix. 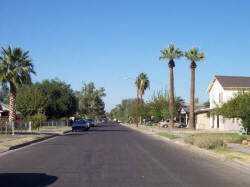 Central Avenue and all Phoenix Historic Districts Houses for sale. Phoenix Real Estate. 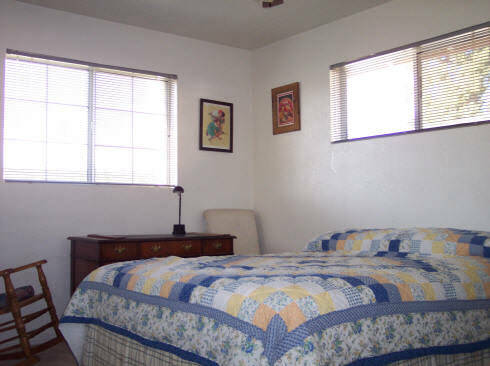 Central Phoenix Homes. Luxury Phoenix Historical Estates. Search All Historic Districts like Willo, Encanto, Coronado and Roosevelt Homes For Sale. JUST Reduced & Offered at only $260,000 ~ A TRUE BARGAIN - SOLD, but we have others! 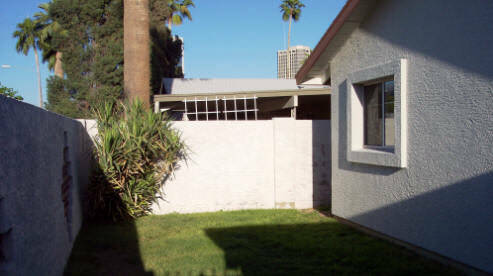 Front of this 1955 ranch home with a custom, block privacy wall. Behind privacy wall is a private, grassy courtyard which leads in to the back yard. The city views from this home and its street are truly urban. It's beautiful both day and night! PRIMO LOCATION! VERY cool house on a VERY cool street with VIEWS of downtown Phoenix city lights that gives a true urban feel day and at night! High rises in the distant background give a terrific ambiance. Walk into the over-sized entry (13x6) into a wide open living room & formal dining room which is awesome for entertaining. 56' Samsung mounted color TV STAYS! 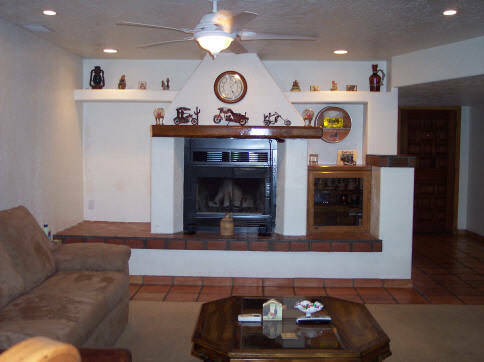 Red brick fireplace with built-ins and tons of mantle space with a good-sized bar in living room are superb! This home has been COMPLETELY remodeled from the roof, plumbing, wiring, flooring, 5-ton gas pack, ALL new dual pane windows to match the period, new paint, new nickel-finished fixtures throughout the home and a whole lot MORE! 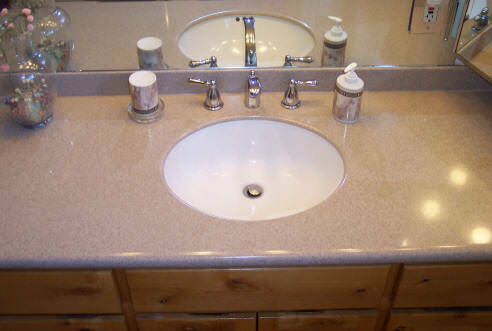 Both bathrooms have been fully remodeled with new sinks, corian counter tops, new toilets, new flooring, new travertine in the shower area & new light fixtures. The kitchen has been fully remodeled with new corian counter tops, new flooring, new cabinets and lighting. 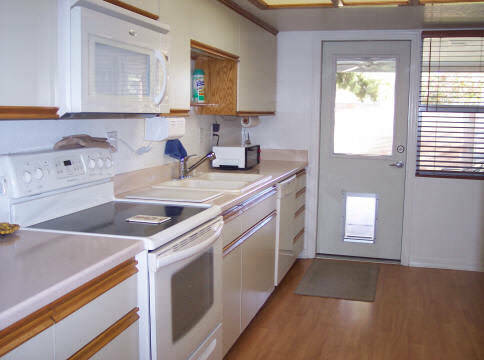 There is a door in the kitchen which leads out to a spacious covered, back patio. A custom, block privacy wall in front creates a courtyard feel & privacy. The HUGE extended 2-car, air-conditioned garage is a dream for a handyman or someone with a lot of tots! Store your toys & enjoy the ABUNDANCE of electricity for your power tools! The air-conditioned garage has THREE dedicated 20 amp (110V) lines in itself! The entire electrical 200 amp panel is new! The backyard is awesome with an RV gate & slab along with a block fence. VERY close to all kinds of shopping AND only a 2 block walk from the future light rail! Taken from the front of home. View of grassy, front lawn from inside courtyard. The front entry is to the right and, you can access the backyard from around the wall straight ahead. 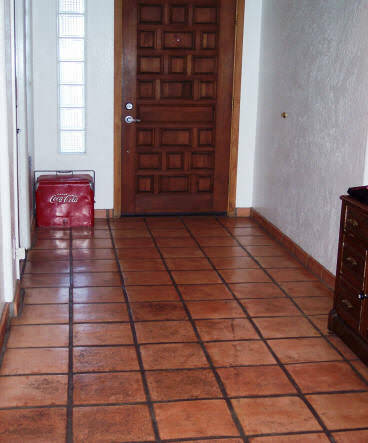 Oversized front, Saltillo tile entry with an entrance & exit to and from the front door AND the extended length 2-car garage! 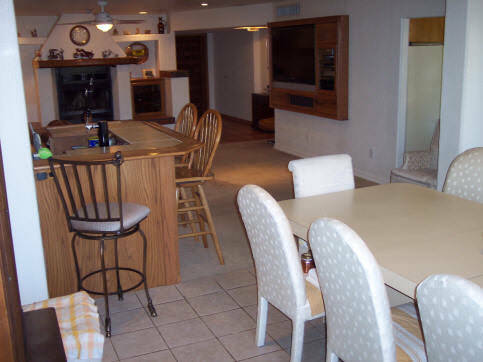 Formal dining room with custom bar to the right! GREAT for parties! 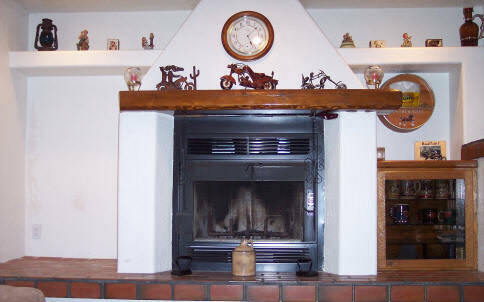 Wood-burning fireplace in living room with original built-ins, tons of mantle space above and Saltillo tile. Another shot of the fireplace from the living room. 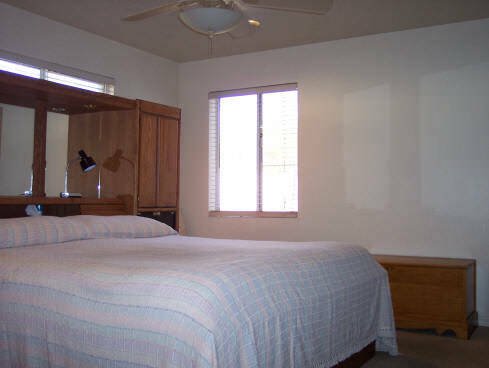 Master bedroom with full remodeled bathroom & big walk-in closet (not pictured). 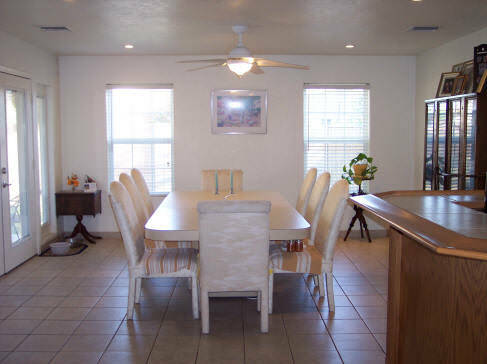 Fully remodeled kitchen with all new flooring, countertops, appliances, lighting & water fixtures and a door which leads to the backyard, covered patio! Both bathrooms have been totally remodeled with new sink, new toilets, new Corian countertops, new flooring, new plumbing and new, nickel-finished lighting fixtures! 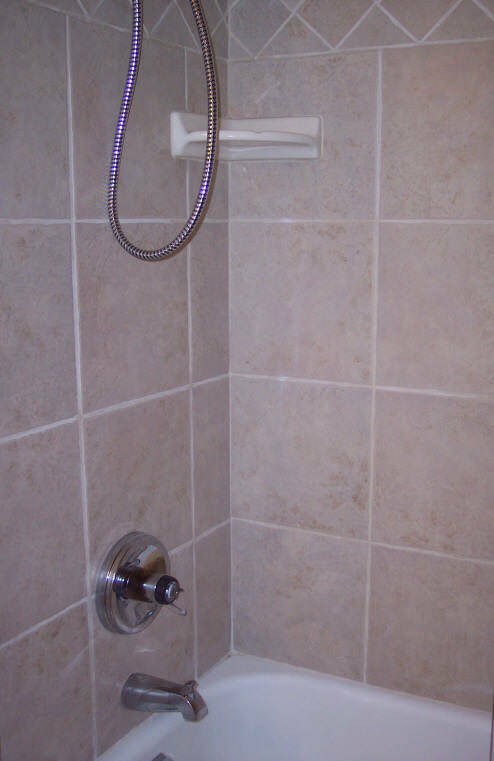 Both showers have been totally remodeled with travertine walls & new shower fixtures. Click here to see the current lender owned properties for sale. Information Deemed Reliable But Not Guaranteed..